How do skilled migrants’ housing tenure and location change over time? To what extent do these changes differ from those of skilled locals? What factors contribute to the disparities between migrants and locals? Insights from Nanjing. What is happening to the geography of metropolitan diversity within US Cities? Examining the relationship between urban form (sprawl), other place-based characteristics, and innovation productivity. Price cycles and price leadership could be related to price levels. With differing price levels as a proxy for sensitivity to financial fluctuations, finance appears to be both promoting housing market integration and, with London, dissimilarity. Jonas, Goetz and Brady draw on a case-study of regional transit in Denver to trace the emergence of the global infrastructure public-private partnership as a novel extra-territorial mechanism for financing and delivering transportation infrastructure. Critical commentary investigates “why the current state-of-the-art conceptualisation for circular economy (RESOLVE) is inadequate when applied to a city” and identifies “principles and components lacking from the CE conceptualisation when applied to a city”. This article argues that the balance of power within the Hong Kong’s growth coalition has changed the Mass Transit Railway Corporation’s business model, prompting a shift from the development of new real estate projects to the management of existing assets. 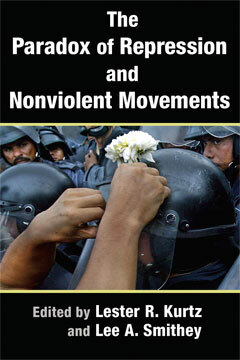 "Kurtz and Smithey’s carefully-constructed The Paradox of Repression and Nonviolent Movements is undoubtedly poised to become a staple in the libraries of peace and nonviolence scholars - particularly those interested in international approaches." RGS-IBG Annual International Conference 2019 - Society in London andImperial College London 27 - 30 August 2019. The deadline for all submissions to the conference programme (organised sessions, papers or posters) is Friday 15 February 2019. Visit the website for further details. Registration is now open (free to attend) - click here to register. For enquiries contact Dr Pat Noxolo.